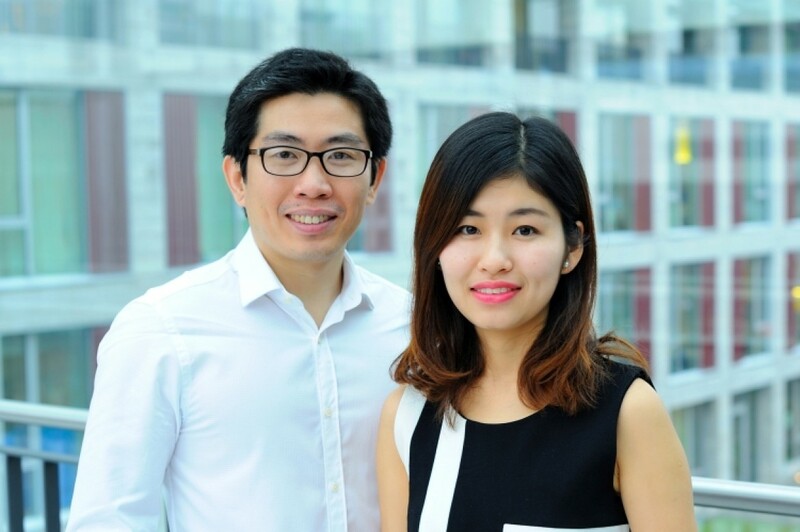 The FOR 2240 research unit now has two international scholars on board: Ms. Yanghong Hou, MD, from China and Mr. Viet Nhat Hung Le, MD, from Vietnam. Ms. Hou did her undergraduate work in Medicine (Bachelor) and Ophthalmology (Master) at Tongji University in her hometown of Shanghai and is working towards the degree of Dr.nat.med. Mr. Le graduated from the Hue University of Medicine and Pharmacy, which is in the central part of Vietnam. Before coming to Cologne to complete his doctoral work, Mr. Le was a resident in Paris. Besides being involved with the FOR 2240 as a whole, both researchers will be working closely with Prof. Cursiefen and Dr. Bock in project 1 of FOR 2240: “Induction of corneal transplant tolerance by anti(lymph)angiogenic therapy”. Ms. Hou is evaluating the effects of photodynamic therapy on corneal transplants. Mr. Le is focusing his research on regression of blood vessels and invisible lymphatic vessels in the cornea by using fine needle diathermy and applying indocyanine green to corneal lymphatics in in vivo contexts. Both researchers remarked on their experiences of their German colleagues as very hardworking, focused, punctual, and fluent in English, and the appeal of a close connection to advanced medicine in Cologne. For Ms. Hou, there is also the appeal of continuing the connection to Germany: her home university in Shanghai was founded by German doctors in the late 19th century!